Market, Message, Media, -What are you doing to get yours right for your SME Business…and thereby get New Sales? At the risk of sounding a bit too Northern, on a lot of social media these days there’s an awful lot of ‘Twoddle’ (or Twaddle to some I believe!) being spun on occasion about Marketing & Sales Promotion! A bit like the beautiful game (Football to me-it could be another one to you) there’s nothing better than seeing something done well, executed perfectly and achieving the desired result simply and straight forwardly. If somebody from a Bank, Accountancy Practice or a well heeled Marketing Firm that looks very expensive even before you talk, tries to blind you with science on how to grow sales & get new customers then don’t let them! It’s really very straight forward in practice and you can start with the 3 M’s as the basis of what you need to do to increase your customer base, sales and with it your profits (subject to continuing to run your overall business in a sensible & pragmatic fashion)! Determine your target MARKET. I will use the above pictured Respirator as an example here (as its an easy product to relate to, and one I have years of experience on the subject to boot). If I wanted to increase my sales of, and getting new customers for such a Respirator I’d look at (a) Where have I historically drawn my sales of the product from (b) Where does the Manufacturer tell me that the product sells to historically in their experience (c) What other applications or uses for the product that I haven’t historically tapped into can I find & where do I find those users in the greatest numbers. There’s a simple and straight forward market that I can put together and look to find new customers in, and then I’d l0ok at the Geography. Do I want to sell these products locally, regionally, nationally or internationally (See 3 ahead -the digital age has changed all this in many cases!). Then look at the MESSAGE that you want to communicate that will maximise the opportunities to get new sales of these products to your target markets. It could relate to some or all of your quality & experience, industry knowledge, stock availability & service offer, your hours of opening or contact availability, the breadth & depth of your company’s wider product knowledge base or it could be your competitive price V others in the market. An easy way to ascertain your position& reputation in your market is to ask your friendly regular customers what they like about you V the competitors who try to sell to them, and promote and repeat the ‘winning formula’ to prospective customers. In the example of the Respirator above I know that it competes equally or better with more expensive branded competitors (think of a number & a letter…) and is beyond comparison with cheaper flimsy respirators. What’s more I can back that up with evidence over a period from 2008 from face fit testing results at HSE Licensed contractors in operating in Asbestos, Chemical & Nuclear trades if required! Now the choice is decide upon the MEDIA to get to your prospective customers. There is likely to be a different marketing mix for each product type and business, and you can look at direct ( mail marketing), social media marketing , telephone marketing, postal mailings (there’s still a need for this on occasion! ), direct selling, exhibitions, trade press advertising. A note of caution-beware of people with a vested interest in the suggested media proposed! For Respirators I’d probably be looking at targeting direct mail, social media (posts, blogs, tweets) and some good old fashioned personal calls to targeted users in the markets selected, AND in this digital age it could be asked ‘Why restrict yourself to a narrower local market’ Nationally or Internationally? Never has it been easier to project to a wider audience with the click of a mouse. There’s no Black & White way to market a product or service, but equally there’s no need to come up with a grey solution that expends more time & cost than is needed! Market Knowledge, Experience and Clear Communication (No Twoddle!) are the ways to identify and choose your partner(s) in building sales through new customers I’d suggest. What are you waiting for? 2016’s sales targets are calling! PrevPreviousHow long does it take your website to load up? Do you know what your company’s website must display by law? You may want to read more below! Don’t lose the opportunity to re-engage with all the prospective new customers that visit your website. Are you using Custom Match Targeting? 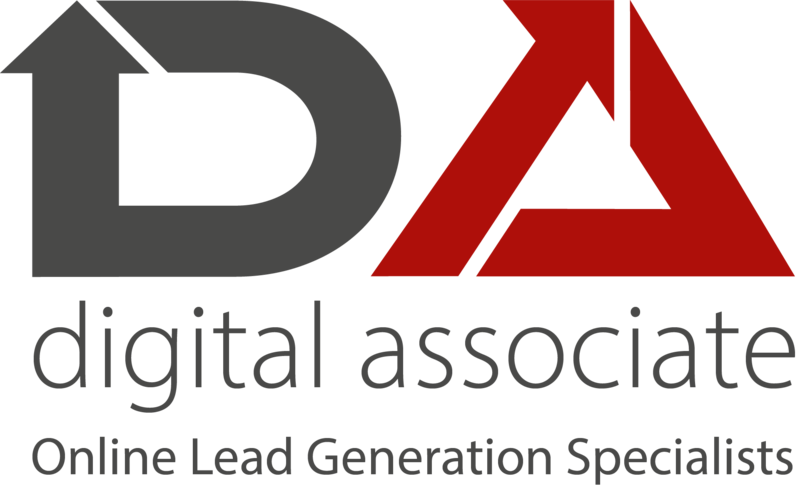 Do you want some help in understanding Digital Marketing & Lead Generation? Free, Nothing, No Cost, Risk Free- I’m going to post this quietly in the evening quiet zone.